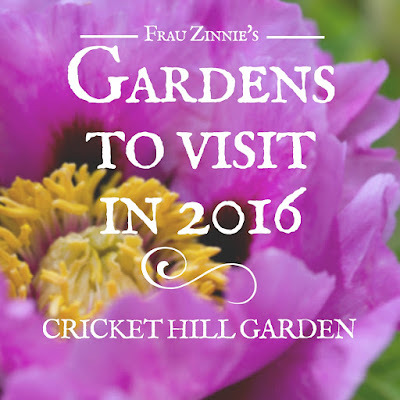 THOMASTON, Conn. - Visiting Cricket Hill Garden is not only a haven for peonies, but for the local wildlife as well. While the deer tend to stay away (they prefer not to dine on peonies, which is a trait gardeners prefer), there are several chipmunks and nesting birds who make the cleared woodland in the Litchfield Hills their home. The business is run on organic principles. "What makes us different is that we grow everything we sell," said Dan Furman, co-owner. "We also do not use any chemical herbicides, insecticides or fungicides in production." A bluebird visits her nest, located in the middle of the display peony garden at Cricket Hill Garden. But it's not foolproof, thanks to Mother Nature and dramatic weather changes this past year. 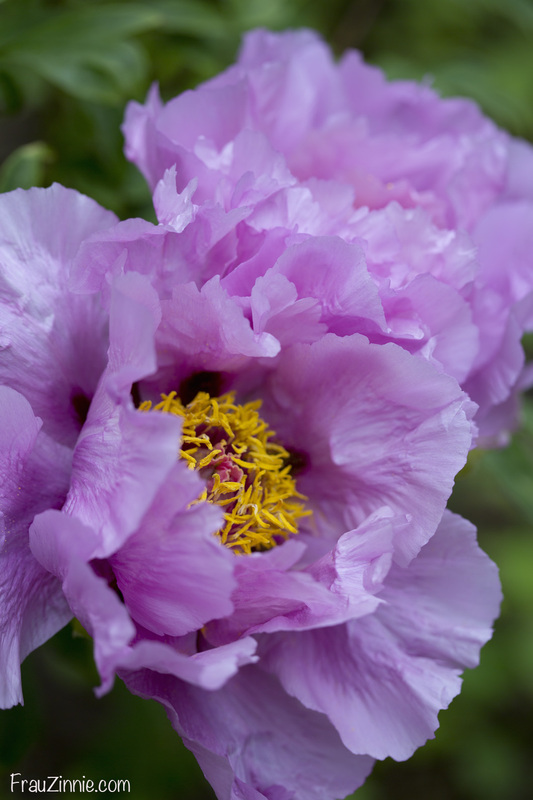 "The early blooming tree peonies were affected by the seesawing winter temperatures and April freezes," Furman said. "Varieties which have bloomed well for us for the last 25 years were very poor this year. [But] the later blooming tree peonies as well as the herbaceous and intersectional peonies were all fine." Furman was walking the grounds when I visited in late May with my friends to view this year's exotic Chinese and Japanese tree peonies in bloom, which overlapped in their blooming. 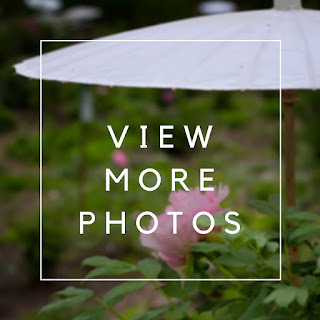 The display gardens were dotted with white umbrellas to protect the flowers from excessive sun and rain, and were also filled with peony aficionados, toting cameras along the mulched paths. But for now, the peonies capture the limelight in the Litchfield Hills, and are available for viewing through June 21. 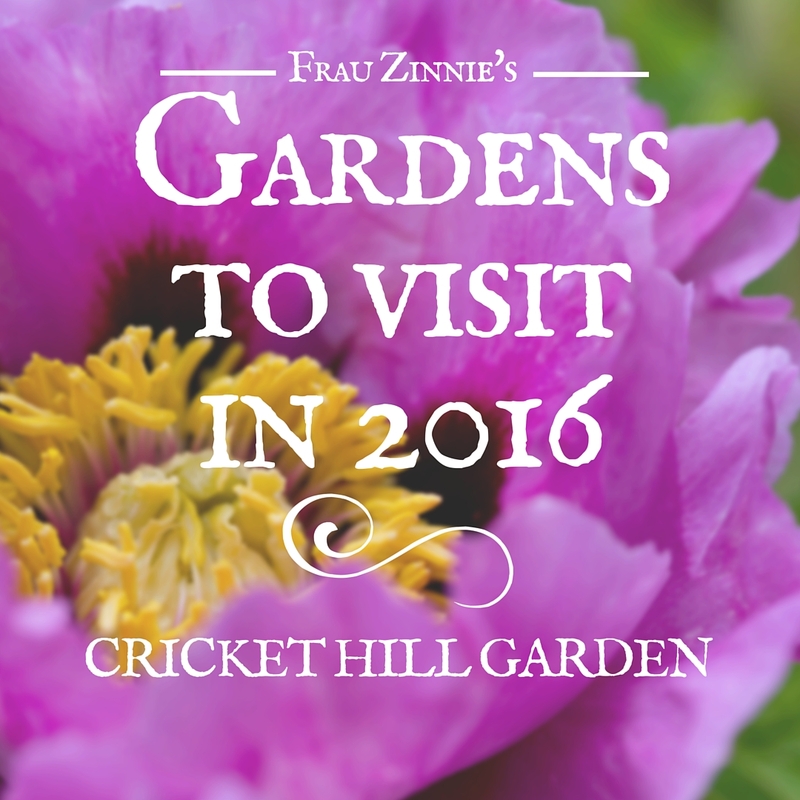 There is no admission fee to Cricket Hill Garden. The garden is closed Mondays, but is open 10 a.m. to 5 p.m. Tuesday through Sunday during peony season. After June 21, visits are by appointment only. For directions to the garden, click here.